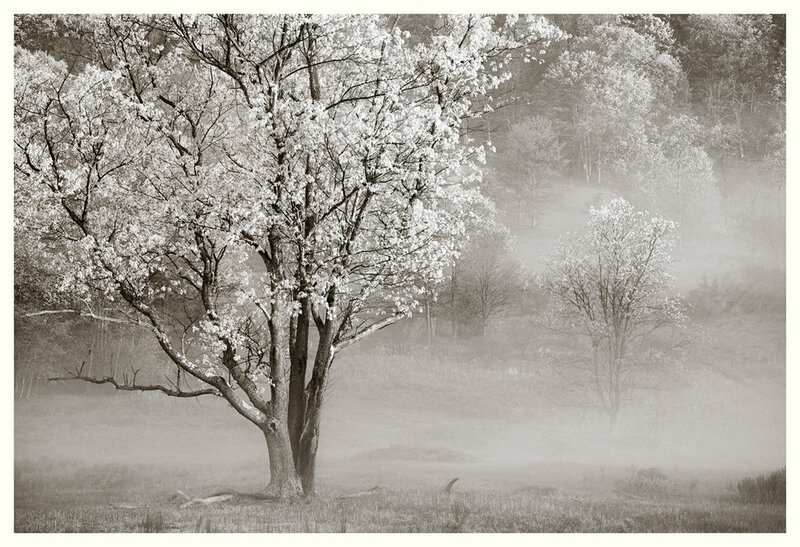 Tree in Fog: Canaan ValleyA new image from our spring workshop in the Canaan Valley area. Morning light and atmospheric fog create magical environments for photography. This is a look over the valley near Canaan Valley State park at sunrise. 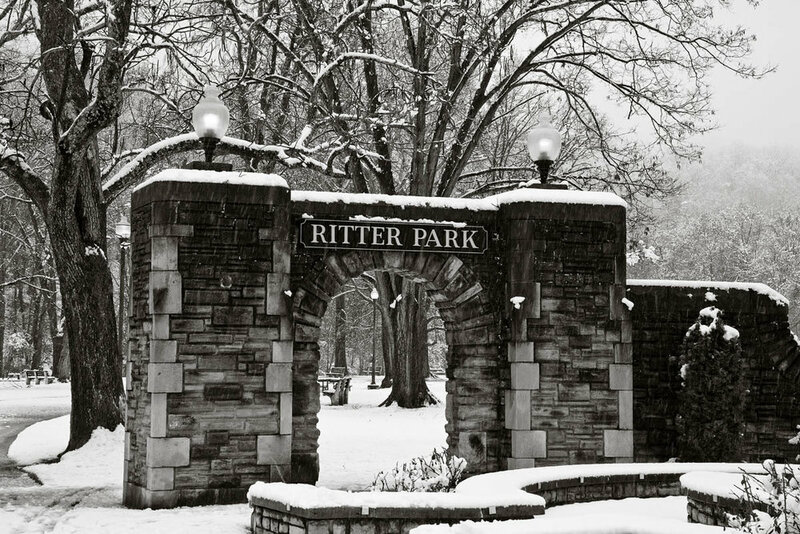 For a larger image presentation please click on the image and then click on the thumbnail at the bottom of the portfolio. Elakala Falls in Black and WhiteI consider Elakala Falls a wonderful fall for black and white interpretation. Delicate streaming flows of water provide a graphically interesting scene that works well in a monochromatic presentation. 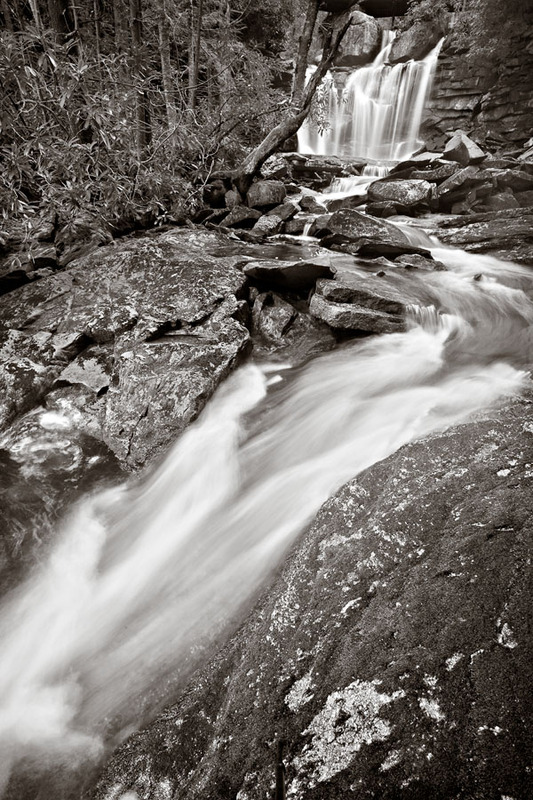 Elakala Falls in Black and White is now in the Water Portfolio.